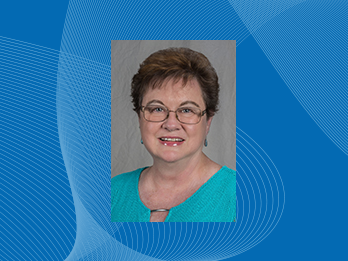 Centerstone announced that Cathy Moehring, Vice President of Quality Improvement for Centerstone, will retire at the end of 2018 after nearly 40 years of service. Moehring was born in California, but grew up in Du Quoin, IL. She graduated with honors from Southern Illinois University in 1976 with a Bachelor of Arts in both psychology and sociology. She began her mental health care career at Perry County HELP as a Sustaining Care Counselor in July 1976 and then with the Jackson County Community Mental Health Center (a legacy organization of Centerstone), where she was responsible for a varied caseload of adults experiencing severe and persistent mental illness. Her work included providing task and skill training, environmental assistance, social training, assessments, among other duties. From September 1982 to July 1985, Moehring was the Sustaining Care Supervisor for the same organization. In 1985, C Moehring went back to SIU to continue her education. Moehring was supported by the organization to continue her education. While Moehring worked toward her master’s in public administration, she worked nights as an evening emergency counselor. “I did assessments, counseling, referral of clients in crisis and consultations with various professionals,” Moehring said. After Moehring graduated with honors with her master’s in 1988, she moved into a new position with the Jackson County Community Health Center – Supervisor of The Network, a volunteer, call-in hotline. In 1989, Moehring was named the Emergency Program Director of Southern Illinois Regional Social Services (SIRSS), formerly known as Jackson County Community Health Center. In that role, Moehring was responsible for administration of the program that provided 24-hour crisis intervention and assessment to Jackson County. In April 1998, Moehring served as the Adult Outpatient Services Director of SIRSS. In April 1999, Moehring was named Quality Improvement Director for The H Group (formerly SIRSS). “When I became interested in quality improvement and helping us become accredited, the organization really supported me and saw the value in having a quality improvement director,” Moehring said. Over the course of her almost 40 years in the mental health care field, Moehring said she has valued many lessons learned, especially learning perspective. “When you see people in crisis who feel they have no resources or hear the horrendous experiences people have endured, you learn perspective on your life,” Moehring said. Moehring will officially retire on Dec. 31, 2018. Moehring said she looks forward to spending more time with her husband, children and grandchildren, but she said she will miss her Centerstone family.